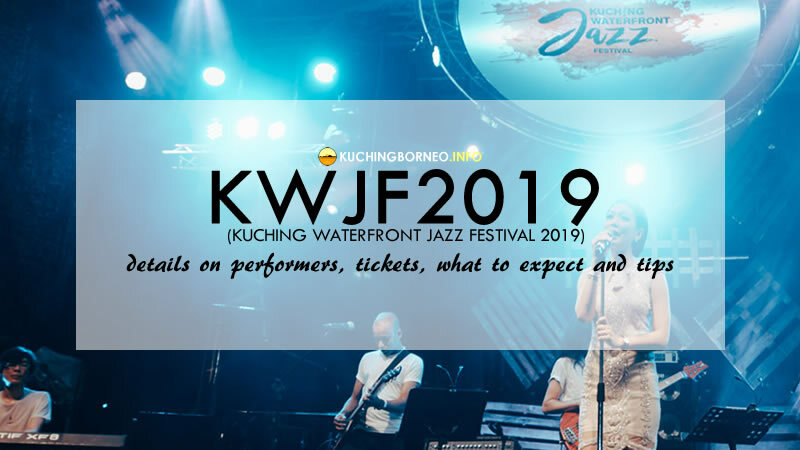 The Kuching Waterfront Jazz Festival 2019 (KWJF2019) will be happening on 27 – 28th September 2019. This year, organizers of the the festival have decided to prepare earlier in anticipation of more festival goers. On a personal note, I really enjoyed my first time at the jazz festival last year and you can read about it here. 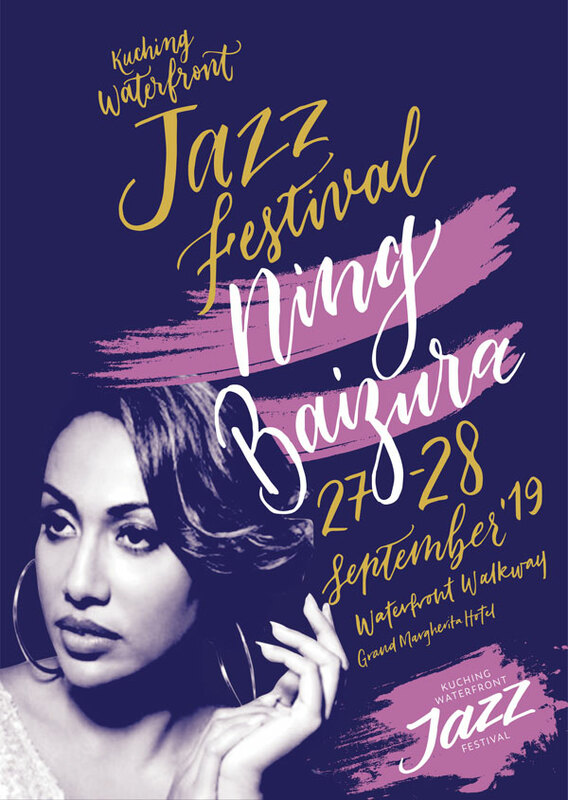 The Kuching Waterfront Jazz Festival 2018 had the likes of Dayang Nurfaizah, which makes the task to top last years festival pretty difficult. However, the initial line-up this year will see Ning Baizura headline the performers line-up together with Nisa Adinna, Dave Brewer and Doodadles and Zyan. More artist are expected to be announced soon, so bookmark this page to find out more. Since the festival is still months away, there is yet to be a festival guide prepared. Do come back to this post in the future and I will update you when I get the latest information. The food bazaar at the Kuching Waterfront Jazz Festival 2019 will be definitely something to look forward to during KWJF2019. It will feature local and international dishes, and you will be able to enjoy your meal just beside the Sarawak river while enjoying the mesmerizing sunset of Kuching. Drinks come in the from of wine, beer, fruit juices and many more. Food prices are slightly higher than usual, but the quality of each dish is definitely there. There is word that KWJF2019 will encourage ewallet SarawakPay during the festival hence making it a good idea to download the wallet and fill it up before you go. The crafts bazaar would bring Sarawak’s fine crafts and art to the festival. There would be also sales of performers music and souvenirs. Last year, there was also limited edition Kuching Waterfront Jazz Festival 2019 tshirts on sale at the crafts bazaar, so I do expect this to continue again this year. There has not been any increase for the KWJF2019 tickets. In fact, compared to last year, the prices of this years’ festival is lower for adults. Early birds will get further reduction in their ticket price, while those opting to buy before the festival still get to save on their purchase. Please note the last day each offer ends to ensure you do not miss out on the cheaper tickets to the festival. Special discounts have also been announced if you pay for the tickets using SarawakPay, but the value of discount was not elaborated. You can pre-purchase your tickets online at the link below. If you want to save, I highly encourage you to pre-puchase your tickets as tickets might be sold out fast. This is judging by the fact that the event was already popular last year despite the fact it was the first. In order to enjoy the Jazz festival to the fullest, please observe the following tips. These tips are lifted from the organizers. Rain or shine, this event is solely outdoors. There is however a marquee! Each wrist band is good for one person. Dress to the nines or better, dress for a night of fun and relaxation. No outside food & drinks and animals are allowed to be brought inside the venue. Come early. The opening acts are pretty impressive! Slippers are best. Shoes can get dirty if it rains. 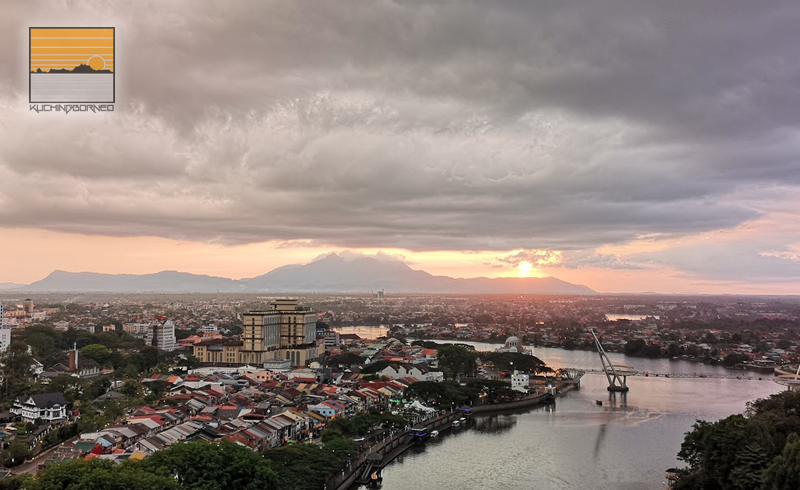 The Kuching Waterfront Jazz Festival 2019 will be held behind the Grand Margherita Hotel, on the Kuching Waterfront itself. With the Sarawak State Legislative as a perfect background, the ambiance of the whole festival is considered perfect to showcase Kuching and Sarawak as a whole. 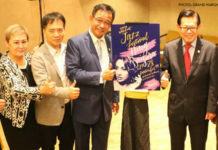 Thanks to it’s popular location, going to the Kuching Waterfront Jazz Festival 2019 wouldn’t be difficult. If you are staying at hotels located within Kuching city centre, walking is the best option. All you need to do is follow the map to the Grand Margherita Hotel as show in the Google Maps below. If your hotel is quite far, or you are from out of town, the Google Map would still be a major help, although using GRAB would be highly encouraged. On your GRAB App, just look for the Grand Margherita Hotel Kuching, and rates for your transportation would be displayed. Else, take a cab/taxi and ask them to take you to the hotel. 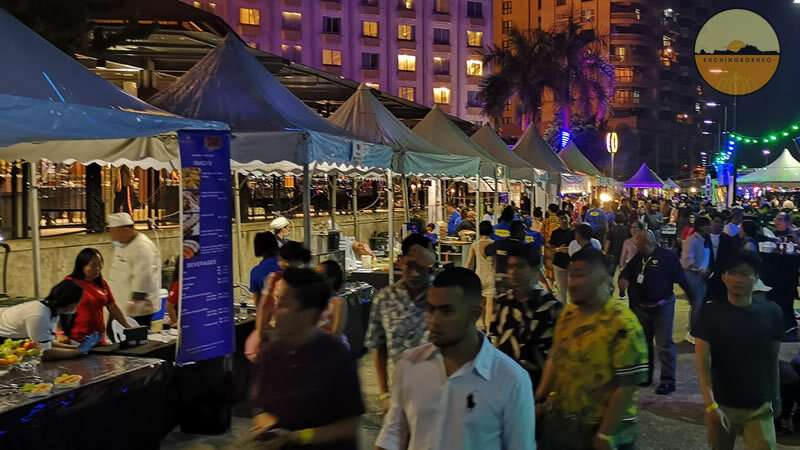 It is likey the Kuching Waterfront Jazz Festival 2019 wouln’t be so visible from the front of the hotel as the festival grounds is located behind the hotel, hidden from the main road. That said, you can only enter the festival grounds through the hotel lobby area. Please note to the map below for directions and entry points to the festival. WHERE TO STAY DURING THE KWJF2019? The best place to stay for the Kuching Waterfront Jazz Festival 2018 is of course the Grand Margherita Hotel Kuching. It is of course the venue of the festival and you can see the venue from your hotel room window. Imperial Riverbank Hotel Kuching is also very close to the venue, making it my second choice if I went to the KWJF. Other good choices include Riverside Majestic Hotel and Hilton Kuching, both just minutes from the venue itself. In my opinion, Riverside Majestic offers luxury at amazing prices (You can read my personal review here), while Hilton is a trusted brand by itself. If the three hotels are not your choice, or are fully booked, check out this list of hotels in Kuching City Center. I’ve compiled them specifically to help those unfamiliar with Kuching. These hotels are within the Kuching City Centre, and a walking distance to the Kuching Waterfront Jazz Festival Venue. I constantly update tips and local guides about my hometown to ease tourist and travelers. I believe this would be great help for anyone coming to Kuching. P/s: I will update this post from time to time, so bookmark it to get the latest details on the KWJF2019! – Last updated 9 April 2019.